If you require a delivery of red diesel fuel in the Swindon area and you’re looking for low prices we can help. Crown Oil is one of the leading red diesel suppliers to businesses and farmers in Swindon, we also deliver nationwide throughout the whole of the UK. For an emergency red diesel delivery call us now on 0845 313 0845. Alternatively, you can fill in our fuel quote form and we will get back to you with a free quote. Once you’re happy with your quote we’ll arrange a delivery at a date and time to suit you. We are one of the nation’s leading fuel suppliers and have a great reputation for reliability and competitive prices when it comes to red diesel fuel. Other services we offer include free fuel management, 24/7 out of hours emergency deliveries, nationwide deliveries, contract retention as well as fulfilling any special requirements your business may have. Red diesel suppliers like Crown Oil deliver gas oil to construction sites, farms and domestic properties in and around Swindon. Whatever the quantity, we can meet your needs from 205-litre barrels and drums to 36,000-litres and upwards. Call Crown Oil now on 0845 313 0845 to buy red diesel in and around Swindon. Roughly eighty miles west of London sits the town of Swindon a large town that is part of the borough of Swindon. Being part of the island of Great Britain, the winters can become pretty brutal so having a good source of heating fuel is a must in this region of the world. This is where rebated diesel suppliers come in. When it comes to heating the home, red diesel Swindon suppliers have got to keep the residents supplied with red diesel or those brutal winters can become lethal. Red diesel is similar in chemical make up to road use motor fuel diesel except that it has been marked by the use of red dye to help identify it. Road use motor fuel diesel is taxed at a higher rate, which means that it costs more to use road use diesel than to use red diesel. It just makes good sense to use the right fuel. Diesel suppliers in Swindon take their jobs seriously. They know that their customers depend on them to keep their homes warm during those cold winter months. The wise home owner knows that the sooner they get their fuel tanks filled the better off they will be when the first cold snap hits. After all, staying warm means being comfortable, and preventing health risks, and everyone wants to keep the family happy. 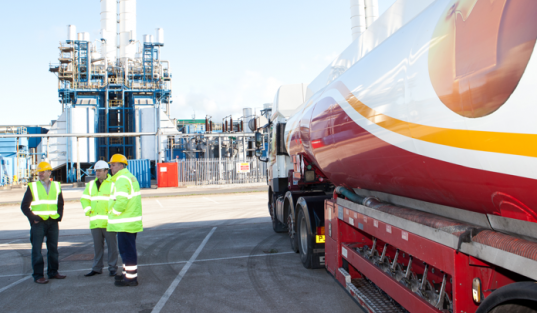 Since it takes a lot of time to deliver red diesel to all the homes in Swindon that need to replenish their supplies, it just makes sense that suppliers create routes so that they can service their clients on a regular basis. Knowing when their customers will be ready to refuel is a trademark of a reputable red diesel supplier. It also keeps the home fires burning.